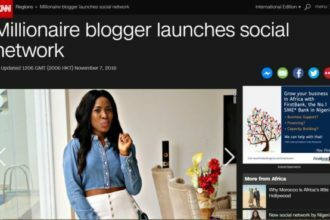 Popular influential Nigerian blogger, Linda Ikeji has just announced that she will soon become a mum on social media. The 37 year old blogger recently announced her engagement some months ago, declaring she was no longer single. The award winning blogger is now excited about becoming a mother. She describes it as the most amazing thing happening to her. A lot of fans and followers have gone on Instagram to congratulate her.